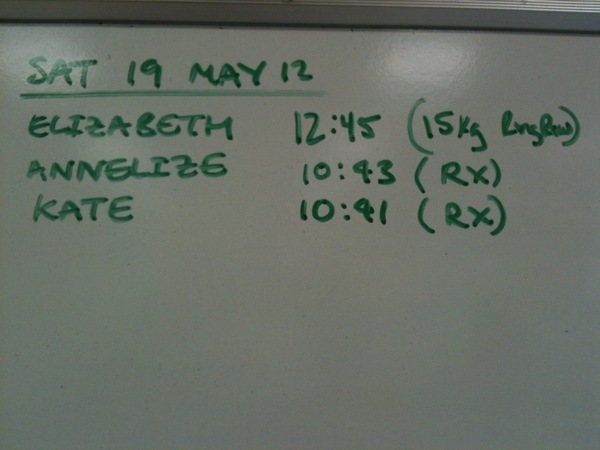 Please see here for the times from the last time we did this workout. Partner 1 beings with part (a), partner 2 begins with (b). As soon as partner 1 gets back from the run they begin part (b) and partner 2 begins part (a). Score is your individual number of rounds on part (b).